Horan’s Pork Shop was established in 1949 by Bill Horan. The location for the shop was on Church Street, Athlone. Bill decided to open his own shop after serving his butchery apprenticeship in Fitzgerald’s high class butcher and sausage makers in Athlone. He learned all the skills as a Master Butcher, from the abbitoir work,right through to preparing all the cuts in the shop. In addition to this, he put a lot of work into devolping his own products, which are still made today. Bill opened his own abbitoir in the 1960’s in Bonavalley. This enabled him to bring the finest local pork to the people of Athlone. 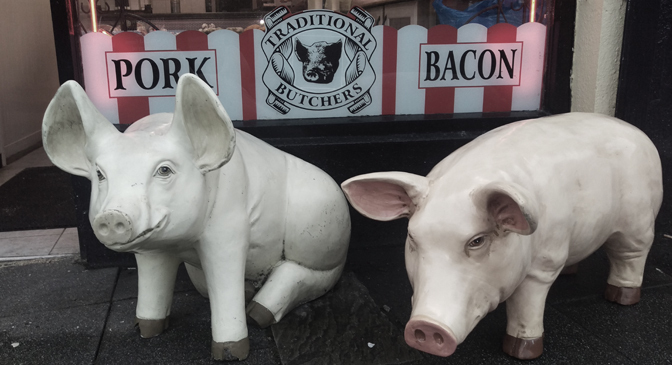 He raised his own pigs which won various awards at the Athlone agricultural shows, and took great pride in the quality of the pork on display in his shop. Horan’s has always been a family business. Bill’s wife Mary worked alongside him in the shop for several years, which allowed him time to make his black pudding and brawn at home. 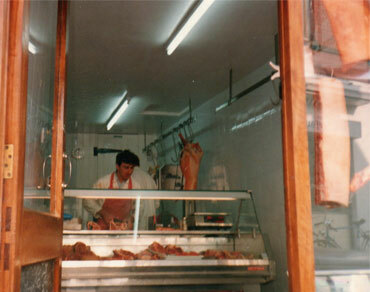 Mary was a skilled butcher in her own right however, and knew how to prepare all the cuts for their customers. Bill and Mary had seven children together, each of whom helped out over the years as they were growing up, and the delivery bike was always waiting for them whenever they got bored! Michael was the youngest of the children and the only boy. He started at a young age by helping out in the abattoir and shop, and developed his butchery skills during his holidays and late evenings. At the age of 21 Michael took over, and began putting his own stamp on the business. The shop was renovated at this time to keep the premises up to date with the surrounding town. Michael carried on with his father’s core values and developed his much loved mild cured ham and bacon, which is still going strong today. Michael’s business partner was his sister Mary. Mary was busy in the background and ran the financial side of the business, which enabled Michael to focus on the butchery side of things. 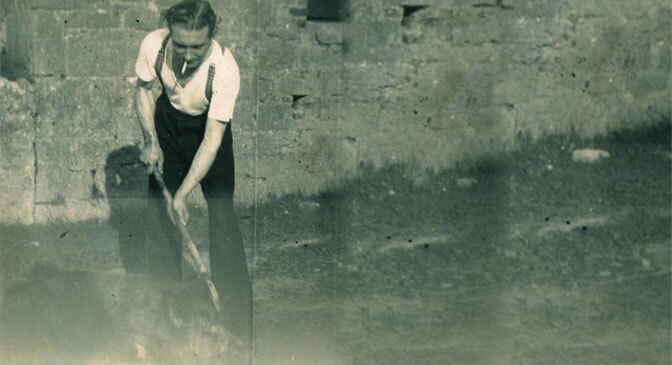 Michael sourced his pigs locally from Seamus Kelly’s farm in Kiltoom, Athlone and we still do to this day. The abattoir was upgraded as the business grew and Michael took great pride in creating a low stress enviroment to process the pigs, which resulted in a superior product. Michael passed away suddenly in 2011 and his nephews Mark & Brian decided to keep the business going into its third generation. We both started working in the shop at the age of 11 by cleaning up and helping out in the abattoir. Over the years, we learned the craft of butchery from Michael. Horan’ has been a constant presence in Athlone since 1949. It has seen alot of changes in the town, and we are very proud to still be standing tall after 68 years. The future is very bright. Here’s to another 68 years!